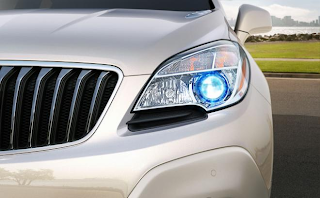 Buick has released the first teaser image of its upcoming compact premium SUV, ahead of its launch at the Detroit auto show in 2012. Slotting underneath the larger Enclave, the Encore is a five-seater that has a sculpted bonnet, xenon headlights, and a waterfall grille. The 2013 Encore will be equipped a “host of features and amenities customers expect from Buick's today” and will go on sale in Summer 2012.